Here is the new MIUI 8 stable rom for Intex Aqua Star Power . This is new rom where there several design updates new UI. 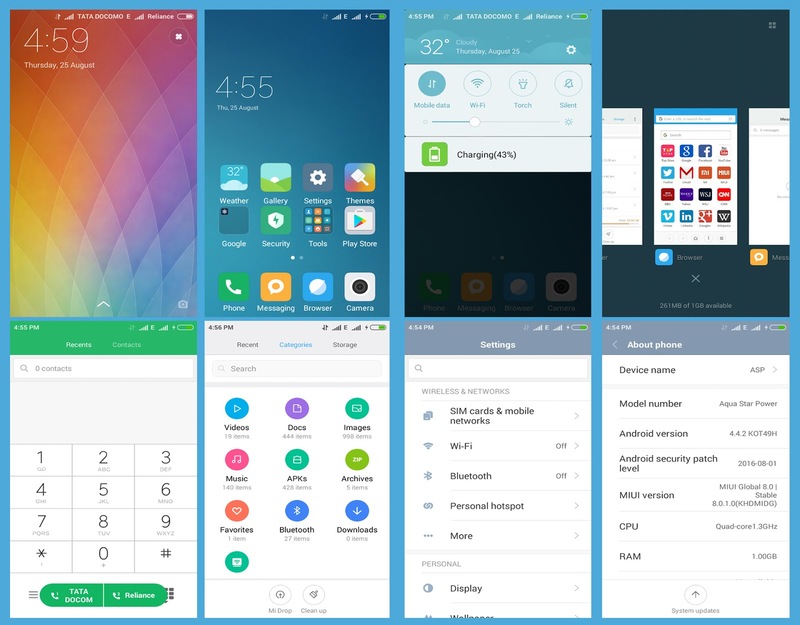 And i think you all know about the MIUI roms .But you will notice big difference in color interface over MIUI 7. Hope you will like this ROM . This rom ported for AQUA STAR POWER only. Don’t flash this rom directly to any other mobiles. 1.Download both ROM and GAPPS zip files. 5.Copy the ROM ZIP and Gapps zip files to SDCARD. 6.Reboot to Custom recovery(TWRP or Philz) and DO FACTORY RESET. 7.Then Flash the ROM and Gapps zip files.